Since '96 I've dutifully answered countless hundreds (maybe thousands) of e-mails from visitors. 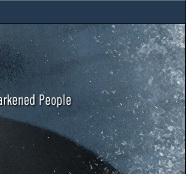 For the past four years you could not click through a link of my e-mail address to send me a message without the subject line automatically being filled out "This email is not going to Danny Elfman". Guess what? It still didn't work! 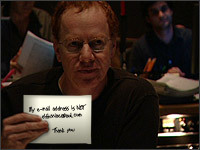 You'd like to send Danny Elfman an e-mail? 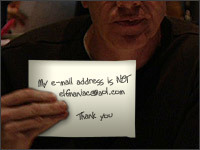 Sorry, I don't have Danny Elfman's e-mail address. Make sure you tell 'em, Large Marge sent ya! Now, since that's all done with, you can still e-mail me, Ryan Keaveney, webmaster of MFADP (this site, btw). All original text, original artwork © Ryan Keaveney & Klaatu Media and cannot be copied without written consent. All other materials are © by original authors / artists / labels and are presented here for critique, educational and promotional purposes only. Answers to frequently asked questions can be found on the Discussion Board. Additional questions or comments can be emailed to Ryan Keaveney.